KAANAPALI — Lanai High School twin sisters Keona and Jasmine Conroy-Humphrey never lost faith in leading their girls team to its first Maui Interscholastic League tennis championship appearance. 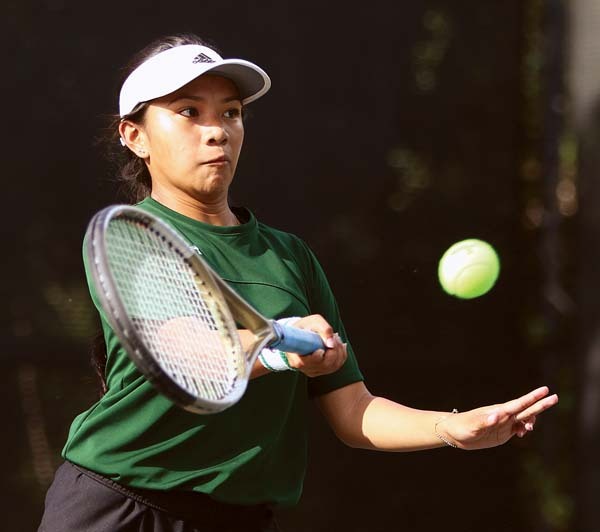 On Friday, their vision came true as the Pine Lasses won 3-2 over King Kekaulike in a semifinal match at the Royal Lahaina Tennis Ranch. 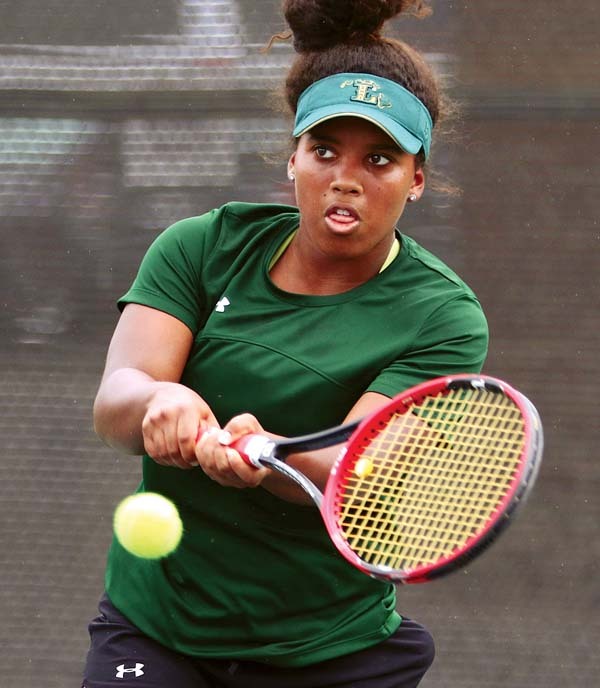 Lanai won all three singles matches, while Na Alii claimed the two doubles matches in a contest that lasted 3 1/2 hours and was briefly interrupted by a thunderstorm. Jasmine Conroy-Humphrey won her No. 2 singles match 6-3, 6-2 over Lannie Hisashima, while her sister claimed a 6-4, 6-3 victory over Shea Sera in No. 1 singles. Keona Conroy-Humphrey dropped the first four games of her first set before rallying back to win. King Kekaulike’s No. 1 doubles team of Christiane Keyhani and Zoe Bailey won 6-1, 4-6, 6-2 over Lanai’s Millena Calilao and Leslie Nabor. Na Alii’s No. 2 doubles squad of Jennea Nagura and Caroline Stevenson defeated Jenel Gani and Mika Badillo 6-1, 6-0. The No. 3 singles match between the Pine Lasses’ Bechelle Elaydo and Na Alii’s Samantha Schiedler proved to be the deciding match as it headed to a third and final set with the teams tied at 2-2. After dropping the first set, Elaydo rallied back to win 6-7 (8), 6-2, 6-2. King Kekaulike coach Reuben Dela Cruz said the team was without its No. 3 girls player, forcing Schiedler to step in for her first match of the season. Lanai coach Randon Sanches said his girls missed a chance to reach the finals last year when the twin sisters were forced to miss the playoffs due to SAT testing. He said the twins only began playing tennis competitively their freshman year, but have become leaders on the team. The team will lean on the twins again in today’s championship against Maui High, which has defeated the Pine Lasses twice this season. “They’re tough, but I know we can give them hard rubs and make them work for that championship because we want to hang a banner, too,” Sanches said.